On Dec. 6th at 6pm please come and enjoy IRC’s Winter Concert! All of my Gr. 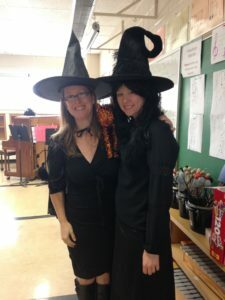 2-6 students will be performing plus Guitar Club and Junior Choir. 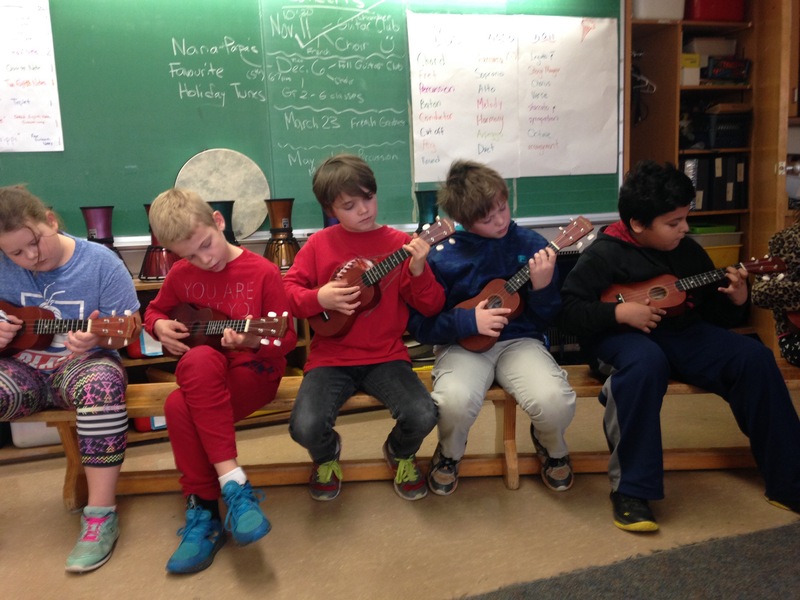 The song were all chosen from students’ assignments and celebrate our diverse community. Should be an awesome show!! Students need to be at school by 5:40 and dressed in something fancy. See you then? Thank you to all of my incredible music students. The show was a huge success thanks to you!!!! Howard students (I’m at two schools now-IRC in the mornings and Howard in the afternoons. On my bike in between) are taking full advantage of the school’s iPads. 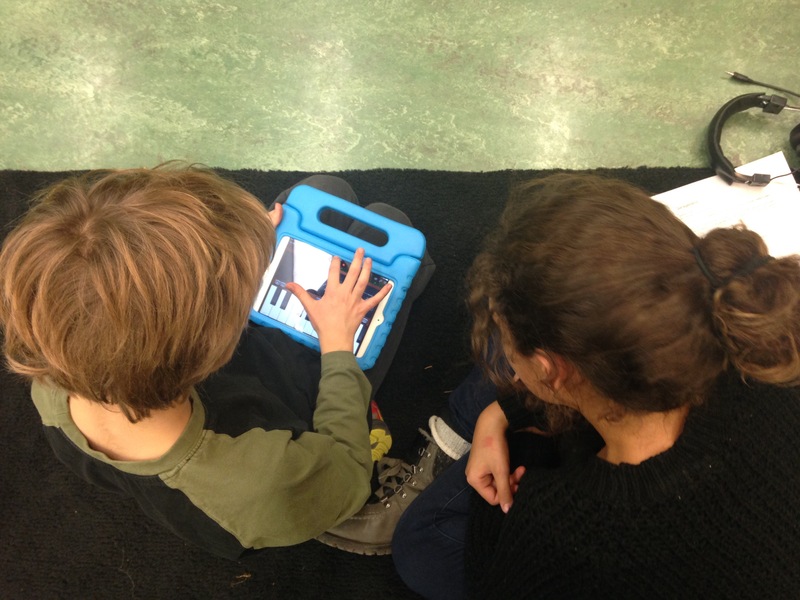 We’re talking about form and instrument roles while composing with GarageBand. They love it. 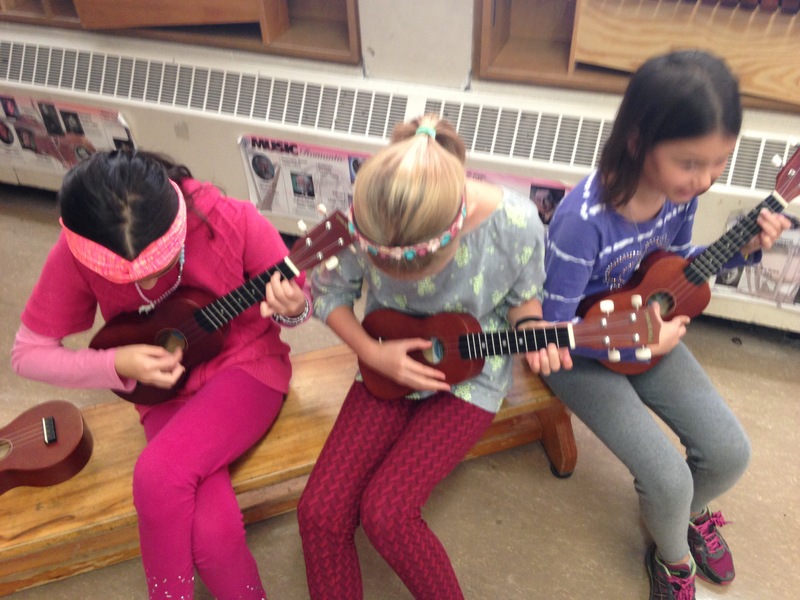 IRC grade 4s determined to learn Ukulele finger picking by Dec. 6th Winter Concert. 6-7pm. Come!! 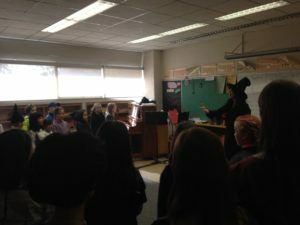 IRC choir led by twins.